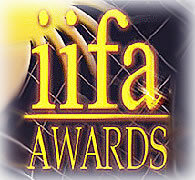 The IIFA awards were given away yesterday at Yorkshire in a glittering ceremony attended by the who’s who of Bollywood. The winners, well, there were not many surprises sprung as two movies had stood tall last year with their exceptional quality and entertainment value. It is quite interesting to note that both the movies reminded us of the glorious leaders who took us to freedom from the British though the methods followed by the leaders were poles apart. Rang De Basanti reminded youngsters of the revolutionary Bhagath Singh and his likes while Lage Raho Munna Bhai was an ode to Mahatma Gandhi and his values (non-violence and truth) though the message was conveyed in a lighter vein. It seemed only fitting that both these films divided the big honors amongst themselves at this awards ceremony. Rang De Basanti walked away with the awards for the best film and screenplay while Lage Raho Munna Bhai took away the best story and dialogue awards. The two best movies of 2006 thus equally shared honors at IIFA. Then it was the turn of the stars and the two best movies were not so lucky this time. Hrithik Roshan took away the Best actor award for Krish while Rani Mukherjee bagged the best actress award for Kabhi Alvida Naa Kehna. Saif Ali Khan received the umpteenth award for best actor in a negative role for his Langda Tyagi in Omkara. However the most predictable award of the night went to Musical wizard A.R.Rahman for his superb score for RDB. It might be fair to say that there was very little competition for this award. Rahman has put forward a very strong candidate for 2007s award too with Guru, it is going to be tough to beat. Surya’s Sulaiyudham! Why not Vel? Ameer and Vijay may come together Shankar & Rajini – missing in action!